Check out if Medic Mobile is in The Top 100 NGOs 2013 Edition! Saving lives using mobile technology. Over 400,000 beneficiaries in 15 countries. In poor, remote settings globally, patients and health workers often walk up to 100 miles to access healthcare resources. A rising player in the ‘mHealth’ movement shaking up traditional forms of rural health service delivery, Medic Mobile seeks to improve healthcare and save lives in such challenging environments through innovative applications of mobile technology. 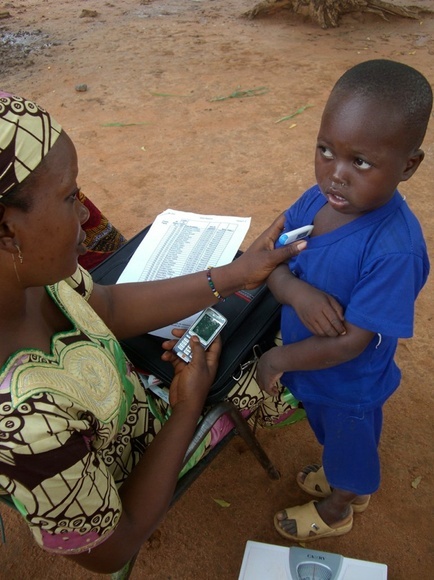 Capitalising on the rapid uptake of mobile phones in Africa and elsewhere, the San Francisco-based organization develops platforms that use text messages to transmit patient records, provide diagnostic information, and coordinate care from extremely remote villages. As a result, health workers are able to employ low-cost mobile technologies to better monitor patient status, mobilise communities for vaccination, run satellite clinics, provide emergency care, identify new illnesses and manage supply chains to prevent drug stock-outs. Building software alongside open-source tools, Medic Mobile is partnering with over 30 local and international partners across 15 countries in Africa, Asia and Latin America. The organization estimates its technologies have already assisted more than 400,000 patients and their families in just three years of operation. Focused on expanding funding streams to scale further, Medic Mobile also runs the ‘Hope Phones’ campaign – an innovative partnership with recyclers in the United States that uses the residual value of discarded phones to subsidise new equipment for the field.